Apple may make a pretty powerful smartphone, but its Mac line of computers is widely considered poor for gaming. So it’s no surprise that Oculus, the Facebook-owned virtual reality company, does not support Macs for its VR headsets. The Oculus Rift is now available for pre-order, starting at $599.99. The device is expected to ship in March. Oculus Rift requires a high-end desktop PC in order to run, with a powerful GPU. The official Oculus recommended specifications are: Video Card: NVIDIA GTX 970/AMD 290 equivalent or greater. CPU: Intel i5-6400/i5-4590 equivalent or greater. 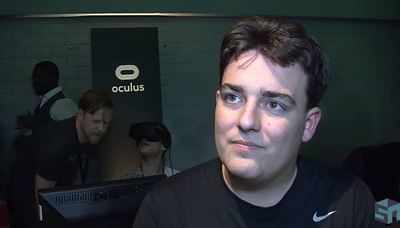 The poster boy of virtual reality Oculus Rift was acquired by Facebook for $2 billion in March 2014.